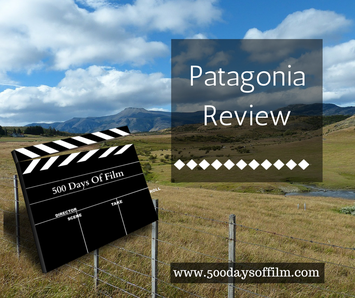 500 Days Of Film Reviews Patagonia And Finds A Stunning Film That Looks Back At The Past And Forward To The Future. In the early 1800’s many Welsh men and women decided to seek a fresh start and their fortune in other countries. Following an agreement with the Argentinian government, a place called Patagonia was earmarked as an ideal location where a Welsh community could thrive and grow. In late May 1865, the first group of approximately 200 settlers left Liverpool - arriving at their destination on 27 July 1865. Unfortunately, the Patagonian dream did not live up to their expectations. They had been told that their new environment would be much like the fertile land that they had left. Reality was harsh and barren. The colony looked doomed. However, the people persevered and overtime the settlers transformed their environment into one of the most fertile and agricultural areas in the whole of Argentina. To this day, there exists a little bit of Wales in Argentina. Patagonia the film follows two stories. In one, a couple travel from Wales to Patagonia. The other sees an elderly woman journey from Patagonia with her young neighbour to discover her roots in Wales. These two stories do not overlap but often mirror and enrich each other. I did not know what to expect from Patagonia. I have to admit that I was a little wary of watching a film that was partly in Spanish and partly in Welsh. However, in no time at all, I was completely swept up in the two stories and the language barrier disappared. The characters are so well drawn and you truly care about them. The film is also gorgeous to look at - so many amazing and beautiful shots particularly of Patagonia but also of Wales. Patagonia is such a powerful and emotional film - the stories may be small but they represent sweeping emotional ideas of discovering the past and accepting the future. Each character discovers something that they need during the film - whether they knew they were looking for it or not. I didn’t expect to enjoy Patagonia and ended up loving it. I started out thinking how pretty Spanish sounded in comparison to the Welsh. By the middle of the film, both sounded remarkably similar and it no longer mattered to me what language was being spoken. How lucky that Cerys and Alejandro arrived in Wales to find such glorious weather! The silhouettes during the dance in Patagonia are beautiful. Loved Alejandro looking at a map of Wales and seeing a place with six Ls in it - “it must be a misprint”. Click this link for more about the development of the Welsh colony in Patagonia.